Caramelised white chocolate mousse may be the star of this elaborate dessert from George Blogg, but the supporting cast are equally dynamic. 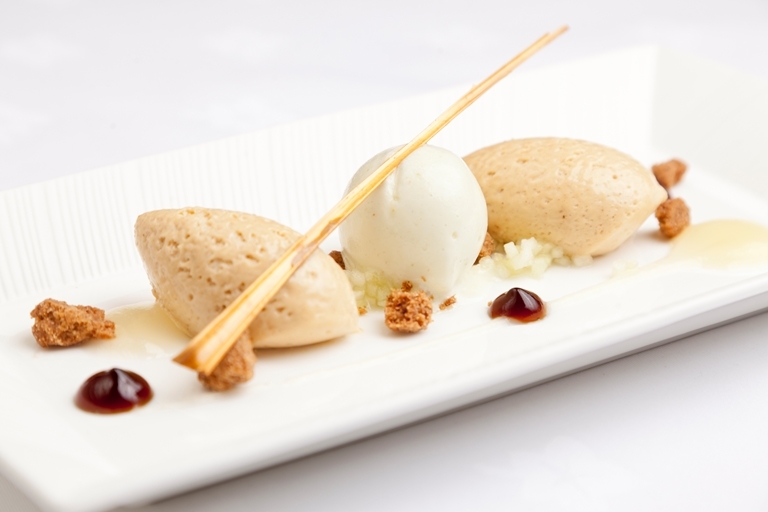 Apple purée and sorbet lend a tartness while cinnamon crumble and muscovado tuiles add further intrigue to this white chocolate recipe. It all began for George Blogg when his mother was approached by the chef of a local Italian eatery to help out with a few busy services; she declined, but knew of the perfect candidate.